Oneness An Illusion or truth? At the point of creation, all that was and indeed all that ever is... existed connected, compressed and complete.... a dot of absolute all, existed in a vibrational frequency so highly concentrated that nothing could withstand it's power or vibrational charge. This charge sent a rippling wave or pulse of frequency out into the quantum field, this pulse or 'breath of creation’, allowed for the concentration to be diluted the further out it travelled from the original source. Source or the central field often referred to as zero point, held the connection to this breath, and as the wave travelled out wider, expanding the field even further, a magical process started to happen. The frequency started to consolidate, creating what we term as physical matter or form, planets, stars, Multiverse, started to appear. Each of these forms carried their own frequency signature, And then within each form the process would start again, a source would be present, a rippling wave would expand out and consolidation would take place, creating form, these forms appeared by way of living organisms; plants, rocks, then single cell organisms. This process is still taking place, creating all that we see in our realities, from the breath of creation, which travels out in a wave motion. What does this understanding have to do with oneness? Well, we can see that at the very start of this intricate process, all that existed, ever will exist, comes from that dot of Absolute All. 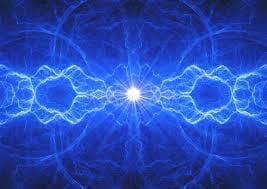 Even during the process of expansion, that connection continues to be made, indefinitely, for eternity, that connection that is supported by the quantum field, links all things in our reality. In fact links everything in all realities of existence. Therefore we can see that everything in our reality and even in realities we don't directly experience, everything exists through the process of the 'breath of creation'. All interconnected, linked back to a lineage from Source. When we truly comprehend this truth, we can see that there is no need to experience conflict by way of polarity, right or wrong, good or bad.... because at that point of zero, neutrality and balance exist. Oneness is a truth about who we are, and thankfully this remembering is reaching far and wide in the form of a realisation which we are waking up to. The dawn of Oneness and Unity will soon be here, then harmony and balance will be restored, peace, joy and unconditional love will rein supreme. And I feel so excited with a deep knowing that we truly will experience Heaven on Earth. Wishing you all much Divine Love and Divine Blessings.